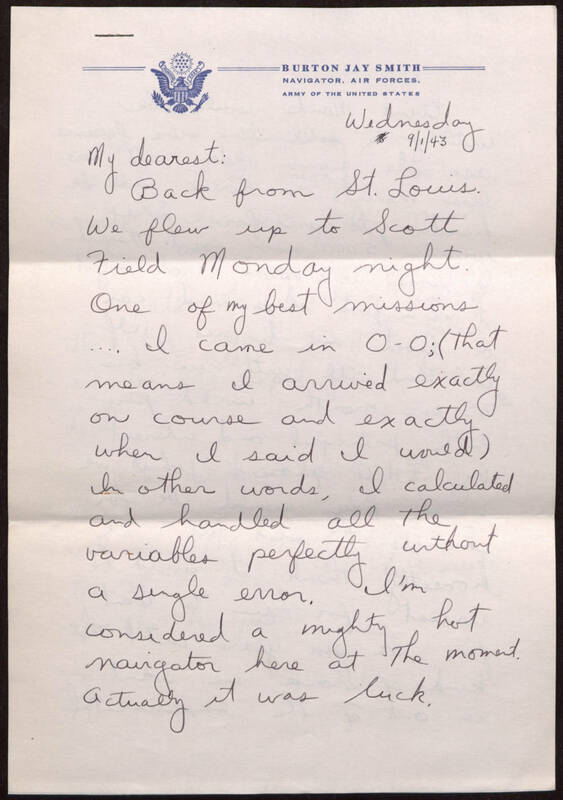 Wednesday 9/1/43 My dearest: Back from St Louis. We flew up to Scott Field Monday night. One of my best missions…. I came in 0-0; (that means I arrived exactly on course and exactly when I said I would) In other words, I calculated and handled all the variables perfectly without a single error. I'm considered a mighty hot navigator here at the moment, actually it was luck.